Don’t waste your time trying to get people to love. Spend your time with those who already do. 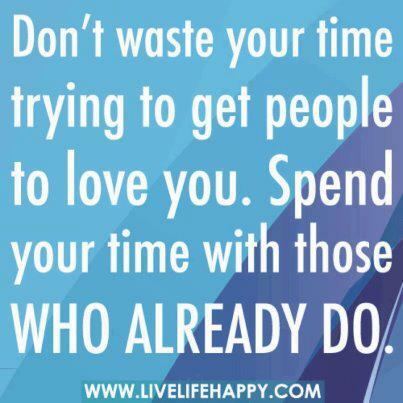 Quote : Don’t waste your time trying to get people to love. Spend your time with those who already do.